I’ve been to a lot of places. At last count, at least fifty different countries. And quite a few places within those countries. So when I say that a place is pretty spectacular, I’ve got quite a lot to compare it to. 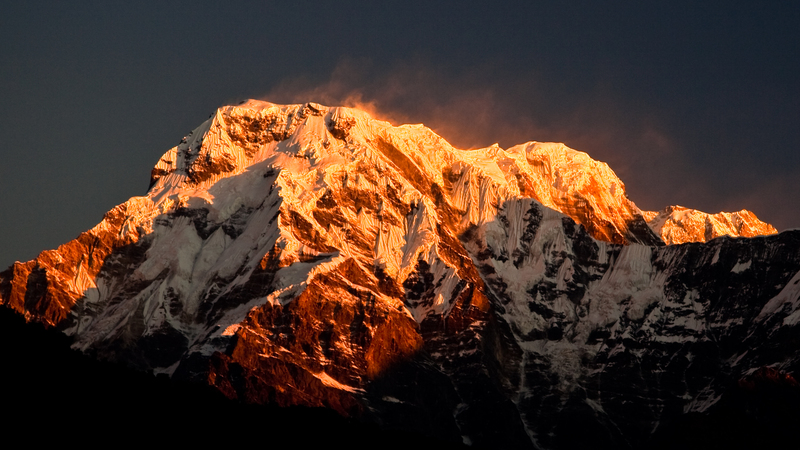 I reckon the Annapurna Sanctuary has to rate up in the top three most beautiful places I’ve been to. I wouldn’t want to try and come up with a definitive list, and certainly wouldn’t want to try and rank them (maybe someday in the future I might give that project a try…), but that gives you an idea for how, well, how awesome it really is. Sadly, no photography is ever going to capture the true grandeur of standing in that breathtaking arena. 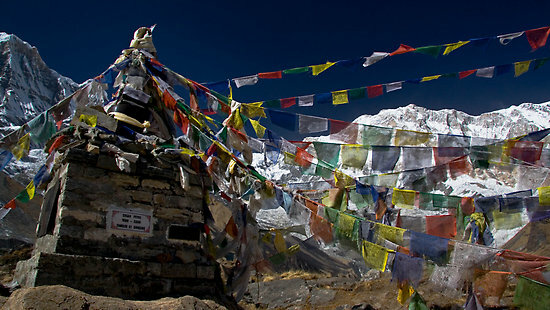 In simple terms, the Sanctuary is a natural basin surrounded by a ring of 7- and 8,000-metre peaks, the tallest of which being Annapurna 1 (8,092m). Situated at 4,200m and with the South Base Camp as its focal point, these mountains jut upwards with phenomenal ferocity, and in the crisp high-altitude air, they are startlingly close. 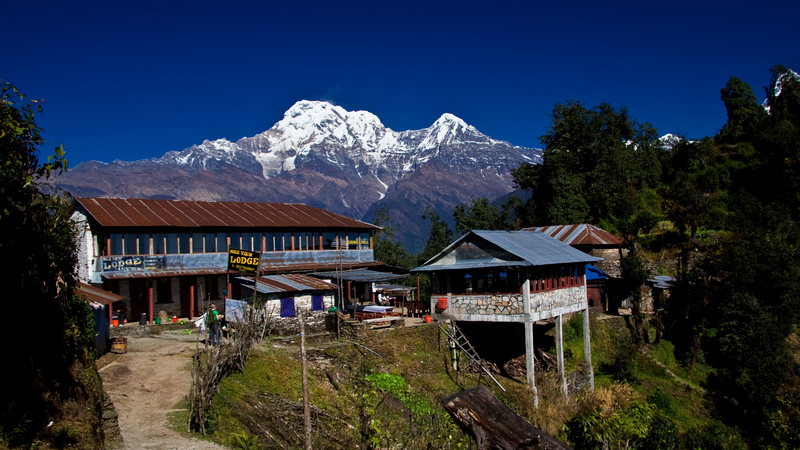 This shot is taken looking backwards, towards the one entrance to the Sanctuary and away from Annapurna. 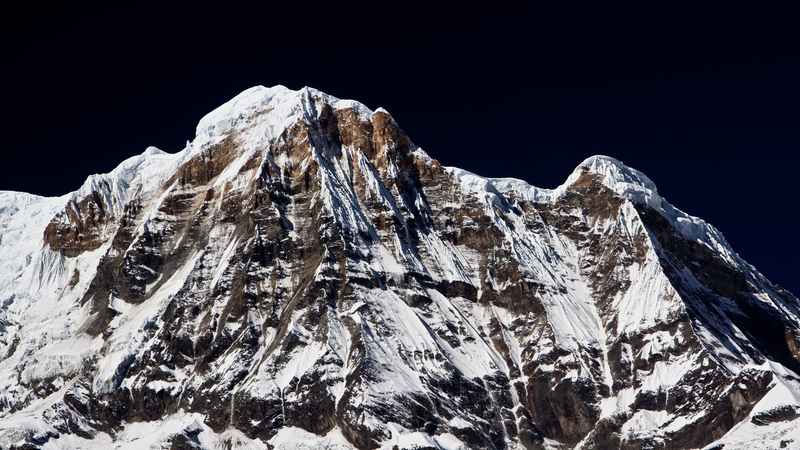 It shows the striking prominence of Macchapuchare, 6,993m, but a face less often seen than the classic view (below) which gives it the nickname ‘Matterhorn of the Himalaya’. Today the South camp is the last in a chain of tourist-oriented tea-houses catering to the thousands of trekkers who climb up to see this natural amphitheatre. Like most of the stops along the route, it is basic but comfortable, with hot tea and warm food and after the physical exertion of the day, crawling onto those foam mattresses is a delight. When we were there the toilets were frozen solid, so there was no talk of taking a wash, but we were turned around and gone again within twenty-four hours. The next time I come here, I’m gonna stay for three days.